If anything, men have stopped taking on more responsibility at home in recent years. Every so often, a trend piece comes along that heralds the rise of the stay-at-home dad. More fathers are choosing childcare over career, we're told, and it represents yet another shift towards gender equity in the age of the female breadwinner. Today, while perusing a bit of Census data, I was reminded of why those stories are making a big deal out of a microscopic trend. 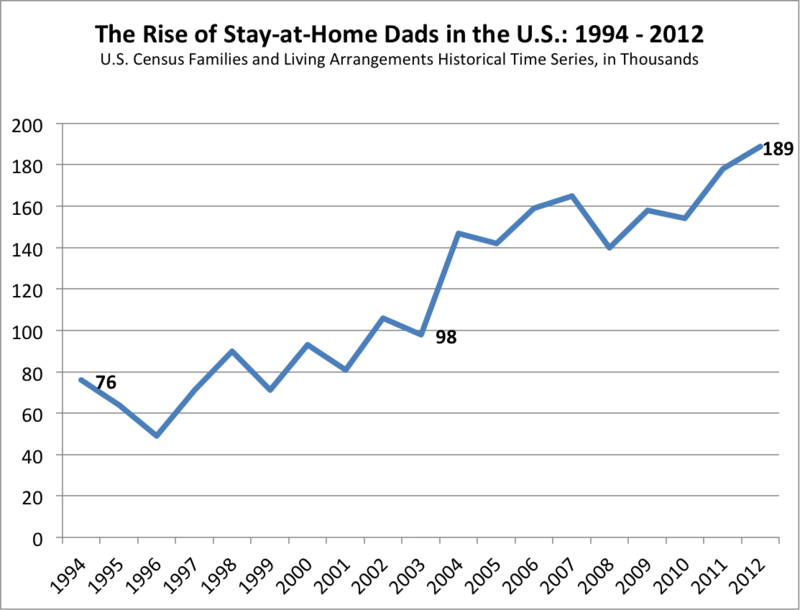 It is true that, according to the Census, the number of stay-at-home dads has more than doubled over the last decade and a half, from about 76,000 in 1994 to 189,000 as of last year, as shown below. That picture looks like a significant change of social norms. Hardly. Among all married couples with children under 15, only 0.8 percent include a stay-at-home dad— up from about 0.3 percent in 1994—compared to 23 percent that include a stay-at-home mom. 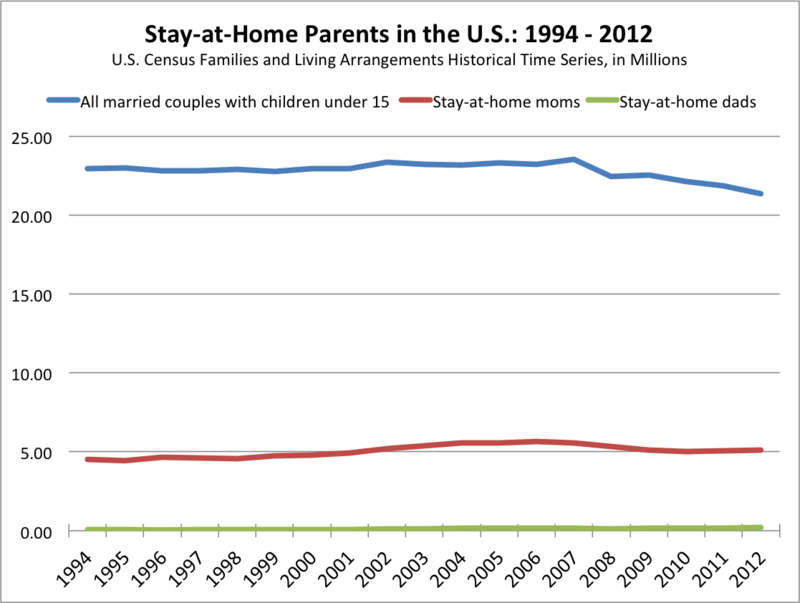 But even those small percentages probably overstate the relative importance of stay-at-home fathers in the greater context of U.S. families. First, we're living in the age of the single parent. More than half of births to women under 30 happen out of wedlock, and women disproportionately end up taking care of those children. 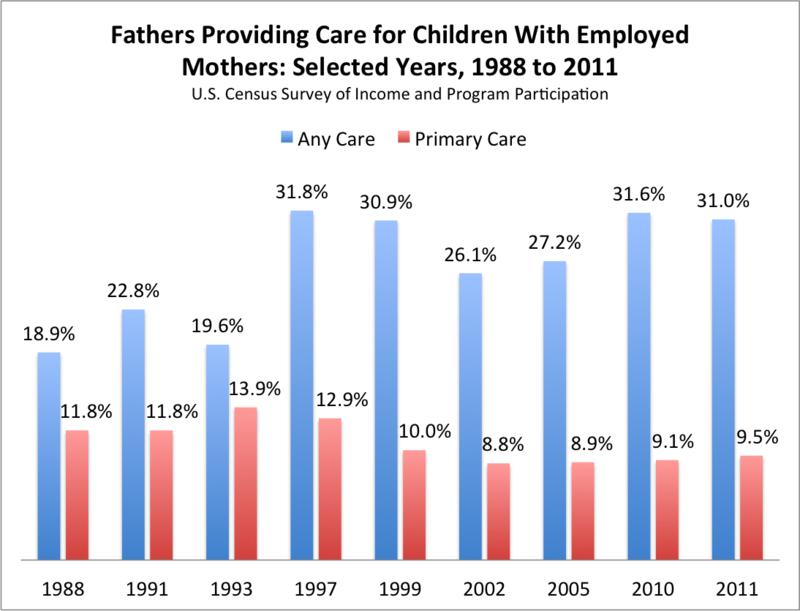 Second, even among two-parent households where women work, the percentage of men acting as the primary caregiver has actually declined slightly since the early 1990s. The fraction of these men regularly providing any care whatsoever for their children while their wives work has been static since at least the late 1990s. (I say at least, because the giant jump that happened in 1997, may have actually had to do with the Census's method of data collection.) And as Pew notes, women in dual earner households spend 12 hours a week on childcare on average, compared to just 7 for men. 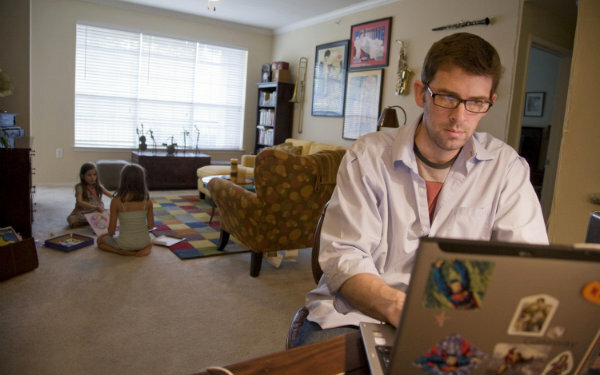 The growth of stay-at-home fatherhood makes for a nice story. But it's a misleading one. A decade ago, you could pack every stay-at-home dad into the University of Michigan's football stadium. Now, you'd just need Michigan and Ohio State's. And if anything, the last 15 years have seen men collectively stop taking on more responsibility as care givers, not take on more of it.